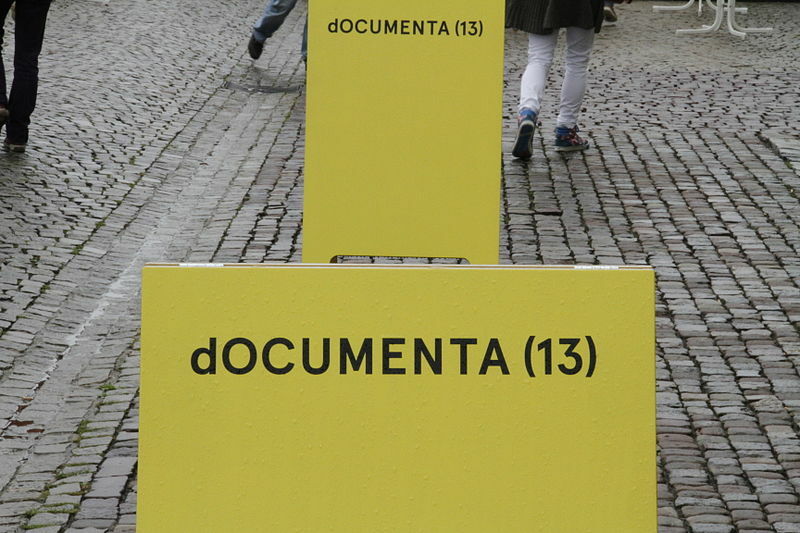 Dinner Exchange Berlin meets AND AND AND at dOCUMENTA 13 // 3 August 2012, 8 pm. assumptions, and modalities of doing. 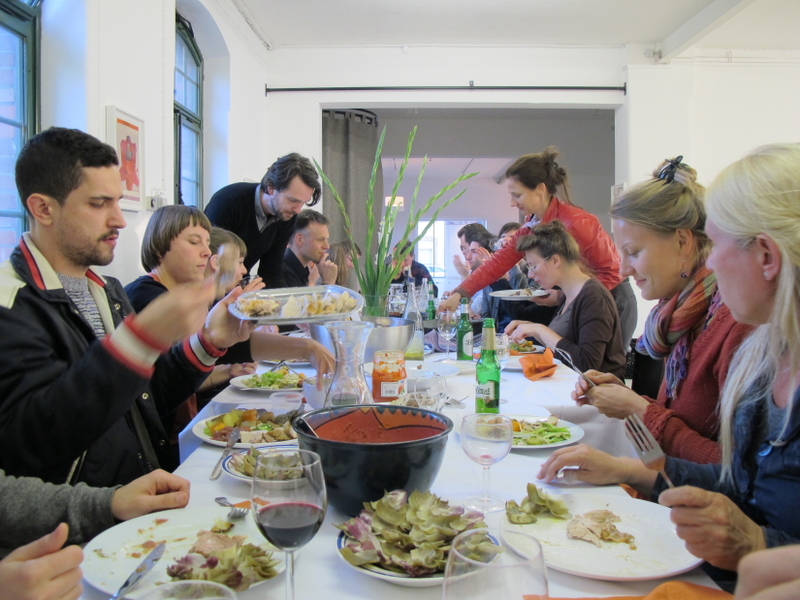 will host a dinner at the Turnhalle, starting at 8 pm. 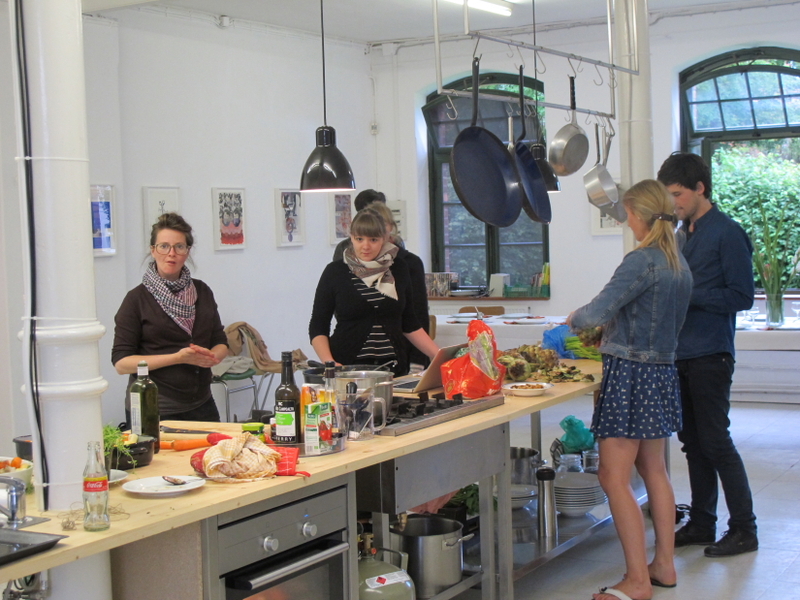 in Kassel to prepare and serve a beautiful meal. of guests you wish to bring. Thank you to Samara Grace Chadwick, Ron Ashraf, Barcomi’s, Ole Ekhoff (Lemonaid) and the merchants of the Maybachufer market. the 21st of July at 3 p.m, curated by Michael Bonk. 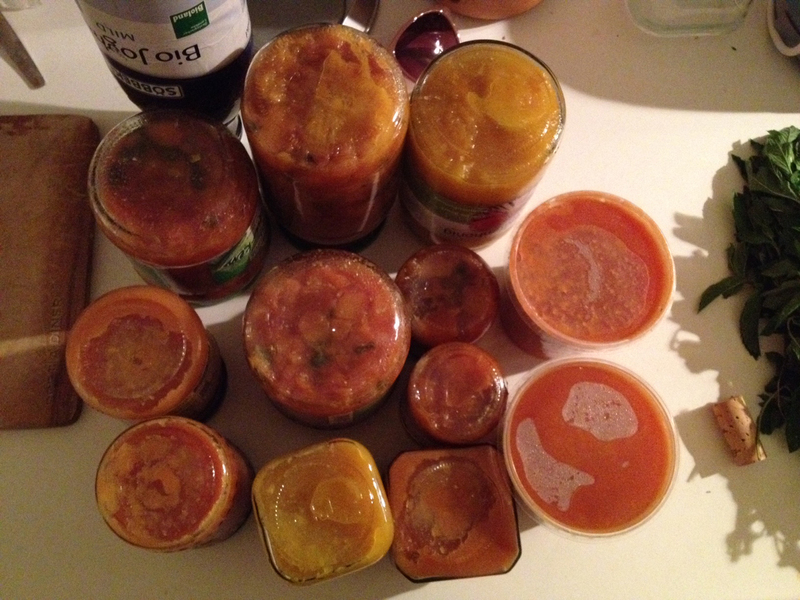 in collaboration with the Kochclub M.1 hosted by Sandra Teitge and Polina Soloveichik. 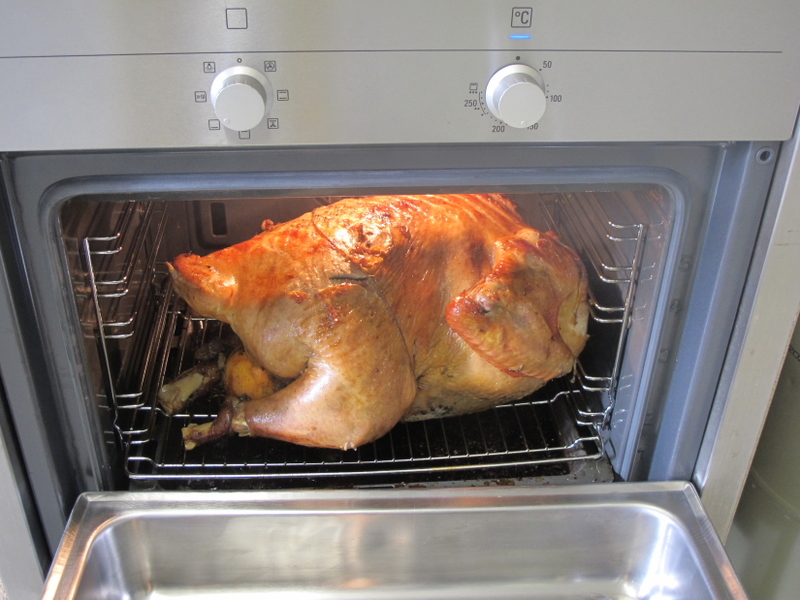 Delicious organic Turkey Dinner with Nectarin Chutney, Artichokes, Potato-Carrot-Gratin, stuffing, and green salad. Thank you to Barcomi’s, Lemonaid, and the merchants of the Maybachufer market! What responsibility lies in culture? How does responsibility come into play in curatorial practice? VOICING RESPONSIBILITY initiates, together with experts from different disciplines, an impulse for the central question of taking on responsibility in the framework of curatorial processes. On the evening of July 20th 2012, the invited guests and the audience will exchange voices, perspectives, and ideas in the form of table conversations with statements, discussions, and artistic contributions. 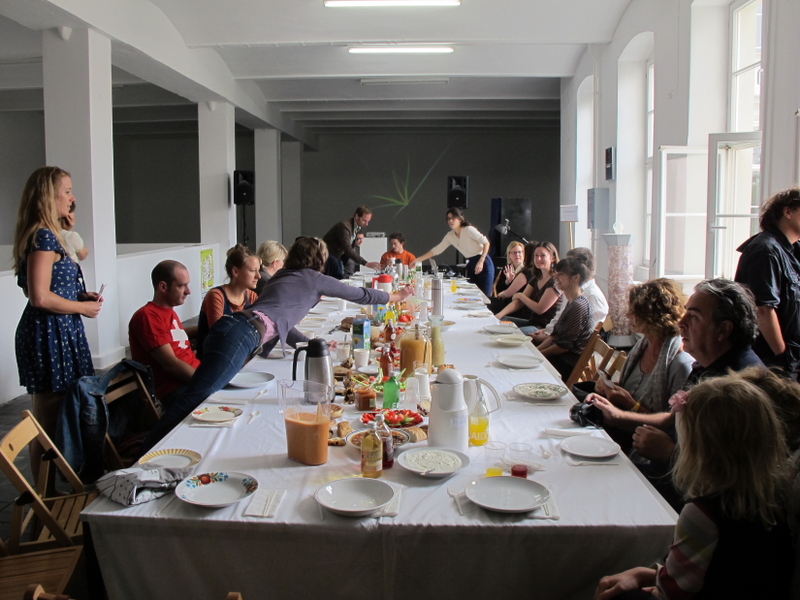 A communal breakfast with the contributors will elaborate on the topics of the evening and invites to participate in a resuming, further discussion. With contributions by Ul – rich Bernard, Beatrice von Bismarck, Ellen Blumenstein & Daniel Tyradellis, Breakfast (a.k.a. 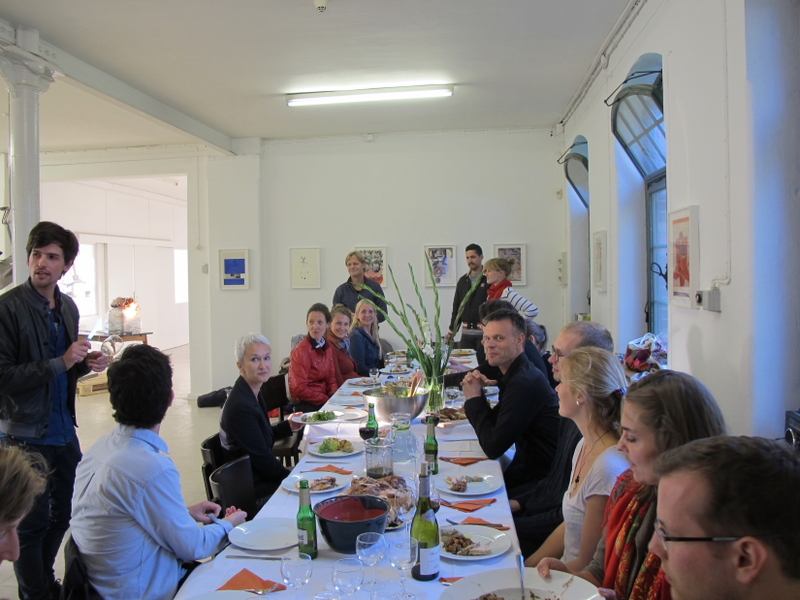 Dinner) Exchange Berlin, Andreas Liebmann, Juliana Piquero, Manuel Scheidegger, Ruth Sonderegger, Joanna Warsza, Agustina Woodgate and further guests. VOICING RESPONSIBILITY is organised by the project Well Connected, Academy of Visual Arts Leipzig (www.kdk-leipzig.de/well-connected.html) in cooperation with KW Institute for Contemporary Art Berlin (www.kw-berlin.de). Responsible are: Nicola Beißner, Carolin Hochleichter, Vera Lauf, Sandra Teitge, Edda Wilde.